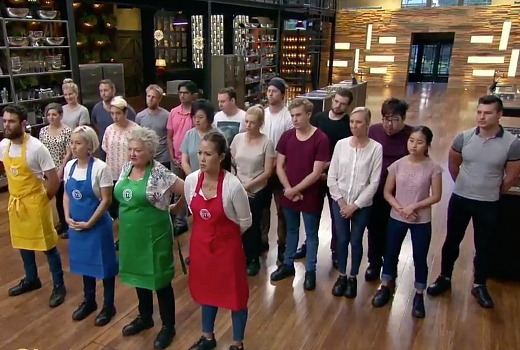 MasterChef, House Rules lift as Last Resort sinks. While MasterChef and House Rules both rose on last Wednesday’s outing, The Last Resort sank yet again for Nine, as couples literally bailed for water in sinking boats. MasterChef drew 958,000 and topped the demos, while House Rules climbed to 807,000. But The Last Resort fell to 371,000, even trailing SBS in Adelaide and Perth. Thus far Nine has said it is not moving the show. The Weekly with Charlie Pickering won at 8:30 beating its commercial rivals after Anh’s Brush with Fame matched its audience from last week. Aussie Property Flippers benefited from an earlier start by Seven. The return of Fargo was averaged across two episodes at just 167,000. Seven News and A Current Affair both won their slots. Seven network won with 27.9% then Nine 25.2%, TEN 21.8%, ABC 17.6% and SBS 7.6%. Seven News was #1 with 1.05m / 1.02m then House Rules (807,000), Home and Away (705,000), The Chase (640,000 / 417,000), Aussie Property Flippers (525,000). The Big Bang Theory drew 243,000. Nine News (1.03m / 989,000) led for Nine then A Current Affair (861,000), Hot Seat (551,000 / 332,00), Britain’s Got Talent (498,000) and The Last Resort (371,000). MasterChef Australia (958,000) topped TEN’s night followed by The Project (644,000 / 426,000), TEN Eyewitness News (492,000), This is Us (456,000) and Family Feud (400,000). Madam Secretary drew 212,000. ABC News (738,000), Anh’s Brush with Fame (623,000), 7:30 (612,000), The Weekly with Charlie Pickering (592,000) and You Can’t Ask That (434,000) comprised ABC’s night. The Warriors was just 195,000. On SBS it was Tony Robinson’s Coast to Coast (282,000), Fargo (167,000) and SBS World News (138,000). Shaun the Sheep upstaged the rabbit to top multichannels with 210,000. TLR needs to be pushed onto 9Go if ratings continue to fall. The first 4 eps were well below 500k. It’s only on one next week due to 3 x Voice. Surprised to see the ratings were so close when 9 had such a shocker of a night!! The aircon scene in Fargo reminded me of that Seinfeld episode with Kramer & the aircon he installed in Jerry’s apartment. I think Fargo is one of the greatest dramas ever produced. Family Feud seems to be staying strong without the similcast. Just wish The Simpsons was on Eleven at 6pm. Family Feud’s best rating is 420,000 it’s going backwards this week. Fargo was excellent last night. McGregor was brilliant in his two roles. Thewlis was menacing in an understated way and I like how he was given bad teeth because, as all American’s “know”, Brits have bad teeth. Happy that SBS are continuing with the double-eps. A perfect dose and a good lead-in to The Young Pope. Great to see MasterChef and House Rules perform well.